This year I started noticing the corner-to-corner crochet blankets. So many cool patterns, but it seemed so difficult. No, said a colleague, it’s easy, just try it! Euhm, no. It looks difficult, so I didn’t even bother. Until I found this blanket from Repeatcrafterme. 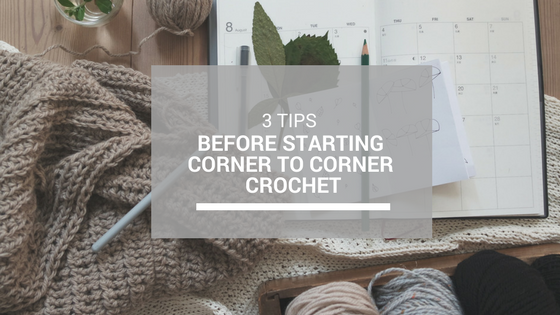 And then I really wanted to learn Corner to Corner crochet. 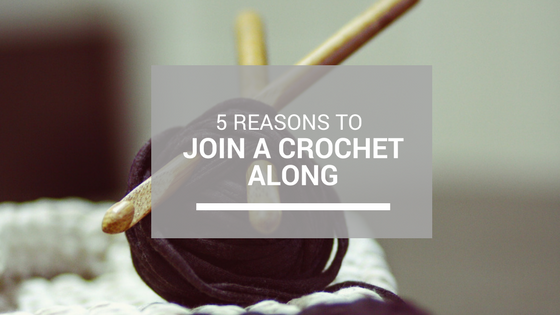 In the blog post, she placed a link to The Crochet Crowd with a video explanation. And then it finally hit home. It is SO easy!!! 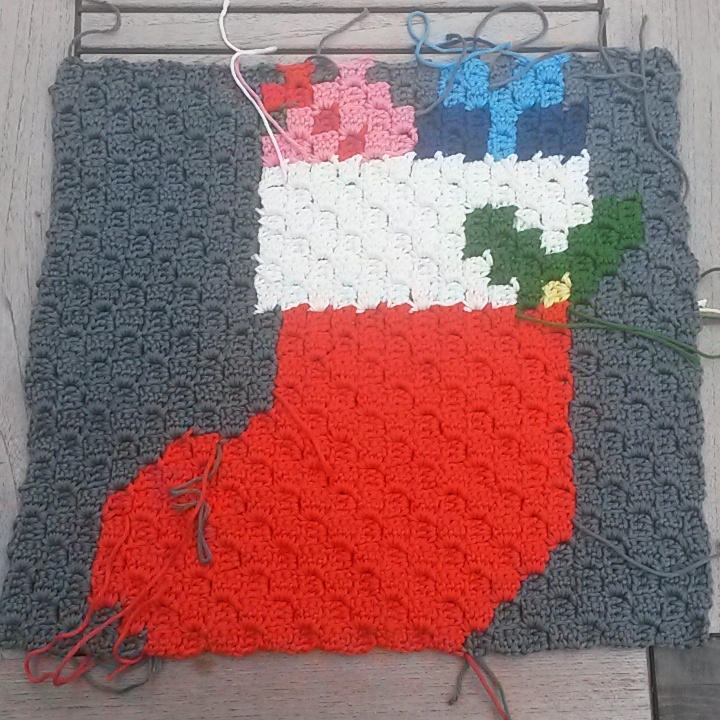 I’m halfway through the blanket and already learned a lot of what you should and shouldn’t do. To help you here is my top 3. Please, please check how your printer prints the corner-to-corner pattern. The first 2 patterns I printed (and created!!) turned out to be wrong. They missed a couple of lines! So, after beating myself up for not counting the blocks (25 each), I pulled myself together and decided these will become pillows. 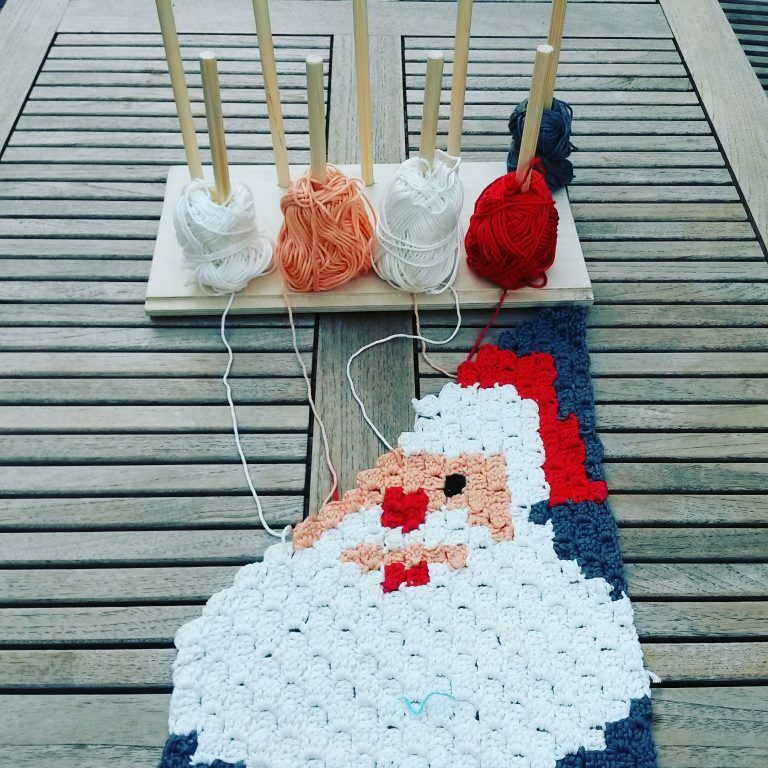 I’m working on the rest and will redo these 2 (Santa and Christmas Stocking) If you look at the image below, you will see that I miss a row on top and one row on the bottom. The benefit of this bobbin is that you can add a complete ball of yarn. I also see people add yarn on a toilet paper roll, but I don’t want to cut yarn if I don’t have to, so as long as this works, I will add the complete roll. (update: after you have unwound a ball of yarn, it’s easier to add the yarn on the roll). Just add your yarn in the correct order. And if you need to turn, you can flip the complete bobbin holder. If you want to make a bobbin yourself, keep in mind to create enough distance between the pins, so your thread can still turn loosely. Also, don’t forget to sand all the edges. To avoid having many loose ends, don’t cut the yarn every time you make a color change, but leave it. Most of the times, you will need it again, on your way back, so you can pick up the yarn again and continue. Always try to leave the yarn hanging at one end (back). When you pickup up a new color, that is already in your project, you can (should) carry the yarn, but not over more than 1 square. You will always see the yarn of the different color pop up, and it doesn’t look good. Trust me. If you have to, go ahead and cut the yarn. Always leave enough yarn to weave in the end! Weave it a couple of times in your work, to avoid it getting loose when you use it because it will happen. And after so much hard work, you should be able to enjoy it for a long time. 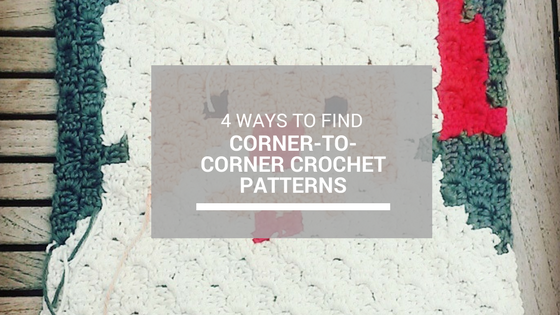 Have you tried Corner-to-Corner already? Do you have an amazing pattern to share?